The Blue Pearl is an evergreen Blueberry. This is a must have for every household that loves eating blueberries. Now you can grow your own! The Blue Pearl is tough and not afraid of frosts, fruit begins to ripen in late spring and summer. You’ll need a few plants to keep up supply if you’re a blueberry munching family, so plant a hedge of them, they make a very impressive border plant. They are fabulous in pots and containers too. Grow them in light shade or full sun, they prefer an acidic soil so if in doubt of your soil PH use a camellia and azalea fertiliser for perfect results. 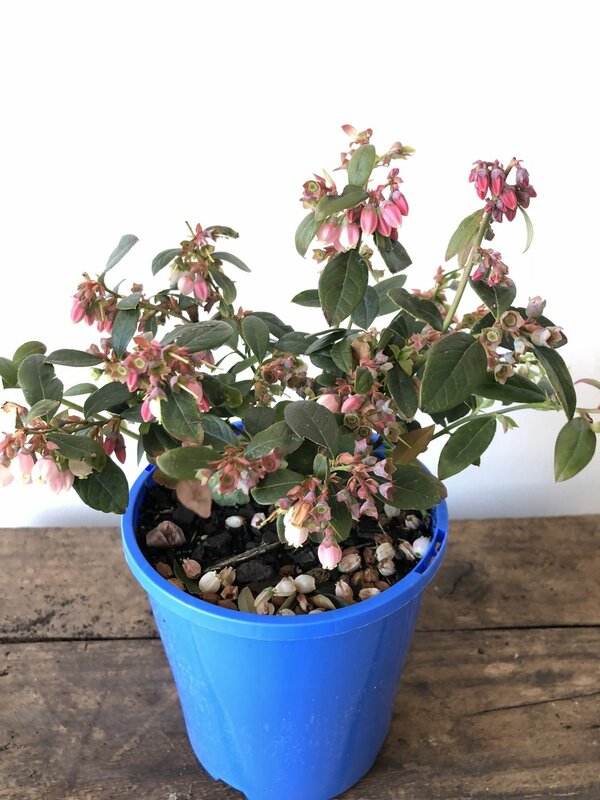 The Blue Pearl is a fun and productive plant and a perfect project plant for kids. Deliciously versatile The Blue Pearl evergreen Blueberry will work beautifully in your South Australian outdoor space. Grows to about a metre high and wide. Grows like fire and it’s coppery red colour makes it looks like it’s on fire. This terrific super fast growing variety of Lilly pilly will reach 4 metres. It’s tight in habit so it forms a really compact hedge. Once settled in and formed Fire screen will tolerate periods of dry, it’s psyllid resistant and easily pruned to shape. Fire Screen is a colourful bright cheery hedge that will glow in your garden. This is a classic! 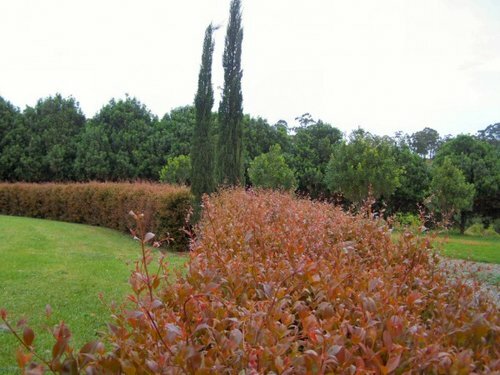 Pittosporum Sliver Sheen has been a hedging favourite for years. It’s hardy, adaptable, fast growing, and will grow up, to around 4 or 5 metres. The small glossy, silvery leaves flicker and glisten in the sunlight bringing a shimmery brightness to the garden. The almost black stems of Silver Sheen create a stylish foil for the silvery coloured foliage. It’s a popular all rounder that will work hard to impress and perform for you. Offering great value this month on the what’s hot promotion, in 14cm pots as you can cost effectively buy up big numbers to create big long hedges. We love a good yarn! If you have a story to tell about our plants, your garden, projects we've been involved with, an event, a community idea, your relationship with Heyne's over our 150 year horticultural history. If you have a story we could post on our blog page, we'd love to hear from you.